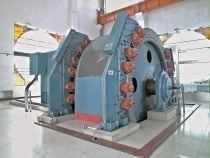 O‌LKO-Maschinentechnik GmbH has ordered the electrical equipment for two Blair Multi-Rope machines (BMR) from Siemens. The hoisting winders are being used in the Woodsmith Mine run by Sirius Minerals, one of the world leading producers of polyhalite, a unique multi-nutrient fertilizer in North Yorkshire, UK. One hoist working as a socalled production winder for material hoisting, one as a service winder for personal transport, with a hoisting capacity of 35 tons payload. The Polyhalite is hosted from approximately 1450 m below sea level to the surface at a hoisting speed of 18 m/s. The delivery includes a medium-voltage synchronous motor with an output of 9.3 mw and a torque of 1550 kNm for each machine which are powered directly from a medium-voltage Sinamics SM150 (PWM) frequency converter. Both winders are fitted with a COBRA01 multi-channel brake system which is a joint development between OLKO and Siemens. The digital speed control and supervision unit, which was developed by Siemens, meets the Safety Integral Level 3 standard (SIL 3, corresponds to IEC 61 508) as well as the German TAS standard which applies to shaft hoisting systems. 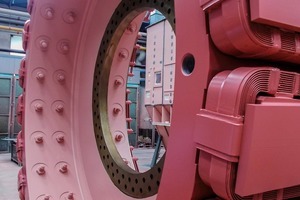 Siemens is therefore the first company in the world to integrate the highest safety standard in a mine hoist. The delivery also includes complete commissioning as well as annual inspection, maintenance and servicing. From 2021, the Woodsmith Mine will be the world‘s largest polyhalite producer, a material which is used to produce fertilizers. This is hoisted via two mine shafts and conveyed out of the national park to Seesside via a 37 km conveyor belt system in an underground tunnel. The majority of the polyhalite is exported once it has been pelletized. 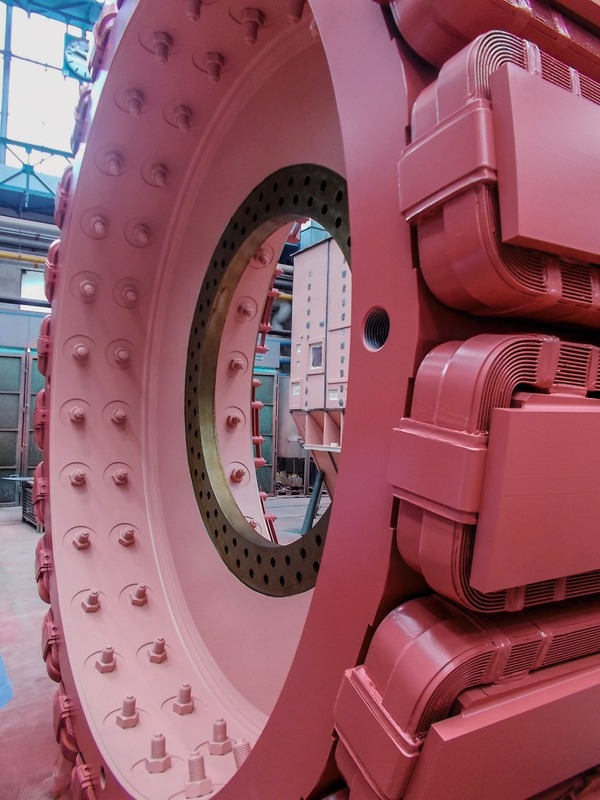 OLKO-Maschinentechnik GmbH, part of Thyssen Schachtbau holdings, received the order to supply two mine hoists for the extraction of the world‘s largest polyhalite deposit. Siemens supplied the electrical equipment consisting of medium-voltage synchronous motors which are powered by medium-voltage Sinamics SM 150 frequency converters. The COBRA01 multi-channel brake system provides a soft braking, comparable to a cars ABS system, but operating with 4 independent hydraulic braking channels. The production hoists is one of the largest in the world. The drum diameter, including the disk brakes, is 6.8 m. The motor has an output of 9.3 MW. Total global population is set to 9.8 billion by 2050. More food will have to be produced than ever before in the history of mankind. At the same time, there is less high-quality arable land available and previous agricultural methods of food production are proving unsustainable. To counteract this, Sirius Minerals has developed POLY4, a multi-nutrient fertilizer. This increases yields and improves agricultural sustainability through the continuous release of four key nutrients which are better tailored to plants‘ requirements then conventional fertilizers. In addition to this, POLY4 makes a significant contribution to soil health through the addition of calcium which fortifies the soil and increases its resistance to erosion, compaction and nutrient loss.